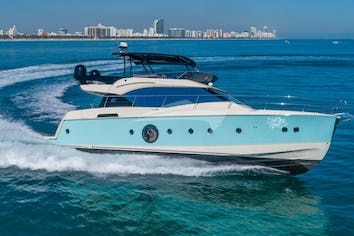 SORANA can accommodate 6 guests in 3 cabins. SORANA is fully air conditioned through out. Jean-Marc GUEVARA has been working for 8 years aboard the NEMO’s fleet. He has acquired then a huge experience in crewed yacht charters in the Caribbean, from the BVI’s to Grenada, but also in French Polynesia. Then he set sail on a Privilege 585 “GO FREE” and chartered the Mediterranean Sea from Croatia, Greece, Turkey to Italy, Sicily, Sardinia, Corsica & the Balearic Islands. Jean-Marc has settled his family in Martinique since more than 13 years. He did come “home”, close to the people he likes working aboard S/Y TIPUTA during 2 years in Caribbean. 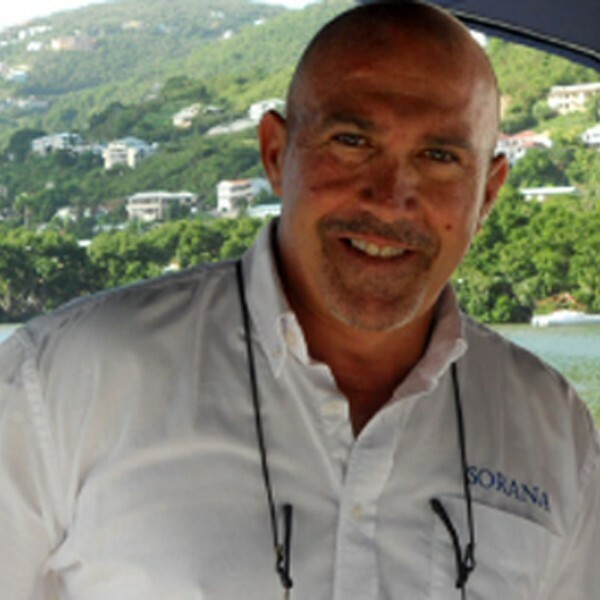 Working onboard M/Y SORANA more than 7 years, he enjoys more and more cruising and sharing his passion with his guests who really appreciate his professionalism and his high sense of service on board. 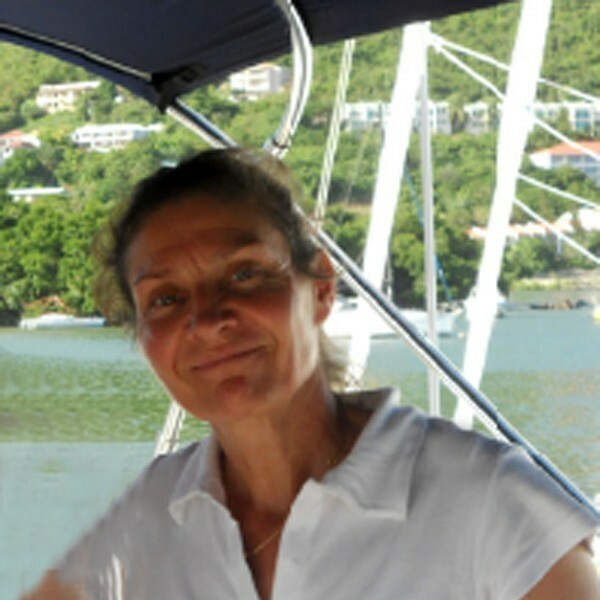 Marie has been sailing for the last 20 years as crew; mostly as hostess/chef on Charter vessels; “Montefigure” 55’, “Matoutou” 57’, “Calaf”, 62’, “Dariu”s, 62’, “Huzard III” 65’ (in Patagonia), “Nemo” 82’, “Ojala” 60’ (in Spitzberg & Norway),” Chrysalis T” 77’ …etc. She has been running the “Ranch” a restaurant in the South of France for more than 7 years before flying away for CHILE. She has lived there for 4 years, managing a fashioned Restaurant bar & modern Chilean art gallery boutique named “Gibran” in Los Angeles with a team of 10 people to handle. I heard from Mr. F. regarding his yacht experience. He didn’t have a whole lot to say but, that is normal for him. He told me that the yacht experience was wonderful. He praised the crew; said they were a class act. He also mentioned that they went to the grenadines, an area the crew knew very well. They stopped in great ports and had great food. He said the crew kept their distance when needed and were very respectful. He offered to provide a reference if I have another client thinking about a similar experience. Obviously he was very happy. Thank you! Thank you Jean Marc and Marie for an incredible trip. We couldn't asked for a better time. The boat was beyond our expectations as was the perfectly prepared food. You both were fabulous hosts. Thank you for everything. We all can't wait to come back soon. Another year, another fantastic two weeks of pure bliss, great food and great company. 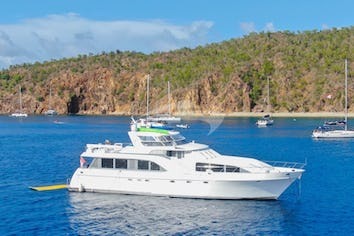 Captain Jean Marc's local knowledge takes you to all the best places possible and Marie's cooking takes you to heaven! Great trip Guadelope to Martinique with great Friends. Great food. Great fun celebrating our birthday's bis. Thank you to the crew for giving us an amazing trip! An amazing two weeks! Great food, beautiful yacht! Marie & Jean Marc were wonderful. I wish I had more time. I loved the yacht. Thnak you so much for the adventure! Emily and I wanted to thank you for the most amazing charter last week. You two truly are the most wonderful people and best Captain, first mate combination! We left with the most amazing memories, ones that we will share with family and friends for ever. I don't know where to start? The service, food, knowledge of the islands are just the start. Thank you once again for showing us a little piece of your paridise and giving us the best start to the rest of our lives we could have ever hoped for. We hope to see you back​ in the Caribbean soon. It has been a real pleasure for me to cruise with Jean Marc and Marie. They are truly professional and enthusiastic about what they do! I've had the best charter on Sorana. Main reason was that I was by myself. And the crew were the happiest crew I've seen on any other yachts. The cuisine prepared on the yacht was prepared for my requested style and taste. The area was fantastic. I like it more than St. Barts area. The nature was beautiful, and the whole area was very serene. Thank you very much for arranging this charter for me. 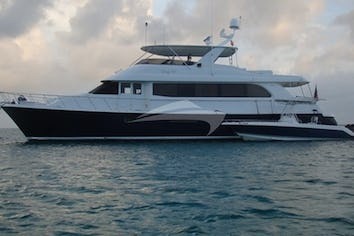 Terrific, great crew, great time, loved the yacht, great charter ! Thank you both for your warmth and your hospitality over the last ten days. We thank you, Jean Marc, for the good choices of this wonderful anchorages. You are a captain has given us a safe feeling in order to give us a relaxing time on your boat. Marie, you are such an amazing Chef. It is unbelievable what you can make happen in that small kitchen. We were feeling like staying in a star restaurant and a six stars hotel each day. If possible, we would like to come back once again to visit more places in the Caribbean with you. I have never heard of all in all I would recommend this boat and crew to any one"
The boat was as we expected and the crew was very friendly. Our kids loved the captain and Marie. Marie is a wonderful cook as well. The route was nice and we decided day by day what to do and that worked out very well. Islands were very different and lot of them where very beautiful. We visited around 20 islands, some really small and some pretty big. The only thing was that restaurants and bars where almost empty because of the low season. So that was negative thing, on the other hand the marina’s where not crowded so that the positive thing. please pass my comments on to them and i'm sure we will be back with them again"
I spoke with Mr. K. who is on Sorana this week. I wanted to note that he is extatic about Marie's cooking wanted to know why I did not tell him explicitly how absolutely great she is! And he is very happy with Jean Marc as well, who he finds congenial and knowledgeable, so thanks very much. The only bad thing is that he cancelled a dinner reservation so they could instead eat on the boat, haha. He seems a delightful man and I am very appreciative of your efforts and those of the crew.